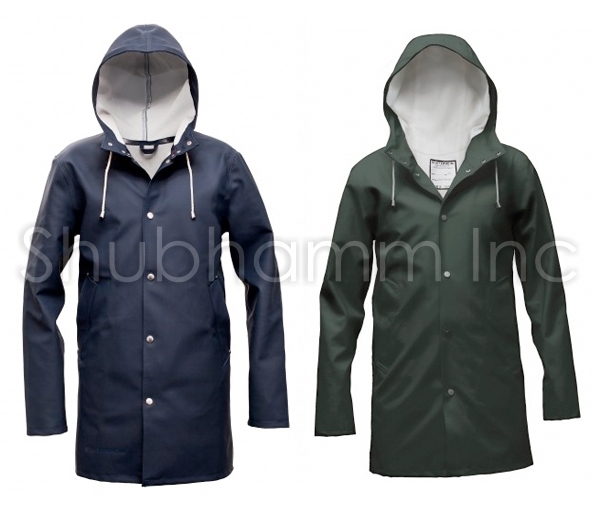 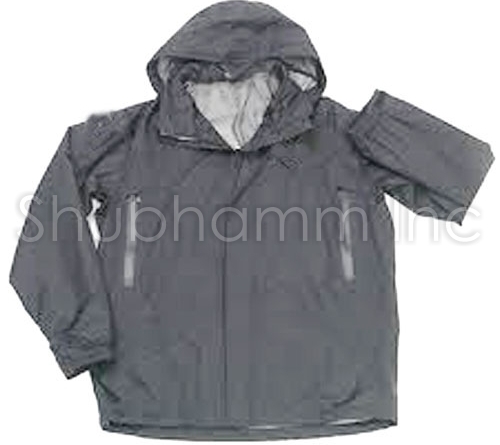 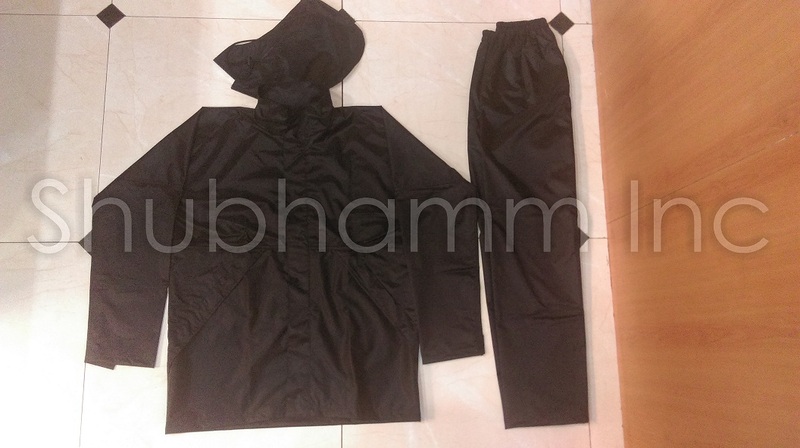 Compared to the reversible raincoats, rubberized raincoats are more durable and long lasting. 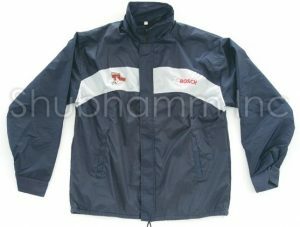 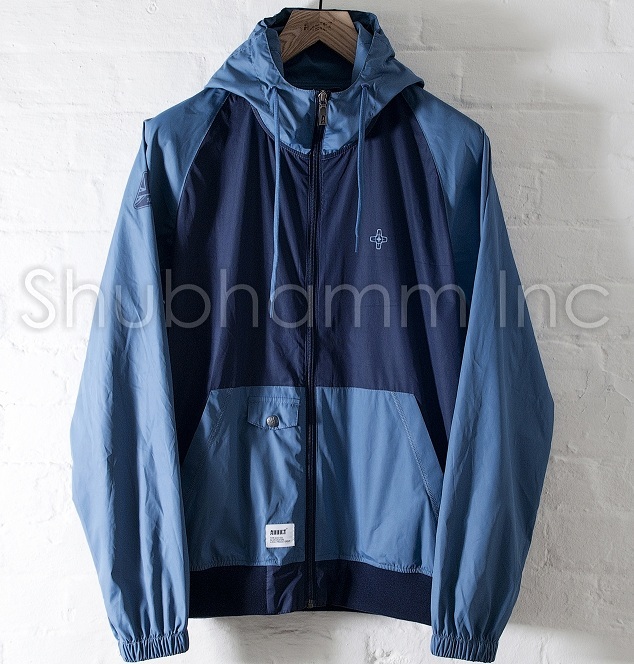 There are worn only one side unlike reversible jackets. The fabric is strong durable and water resistant. The feel of rubberized raincoats is soft and can be worn with ease. 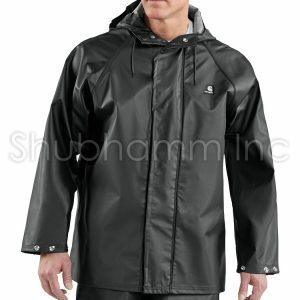 There are 3 to 4 different colours available in Rubberized Raincoats. 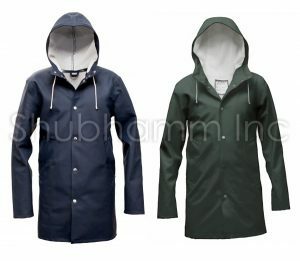 The sealing technique makes the Rubberized raincoat stand out different compared to all other raincoats. 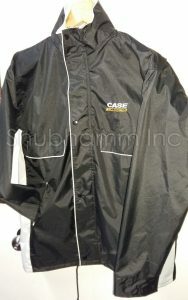 The sizes available are L,XL, XXL. 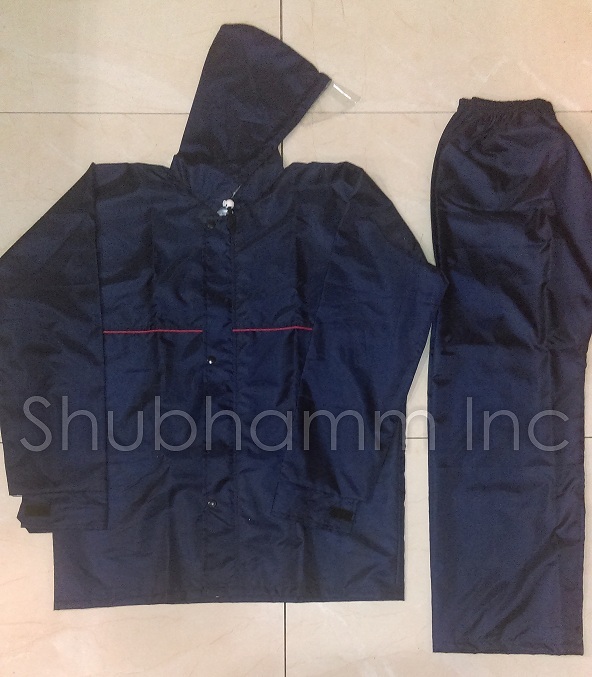 Customized size is also possible in Rubberized Raincoats. 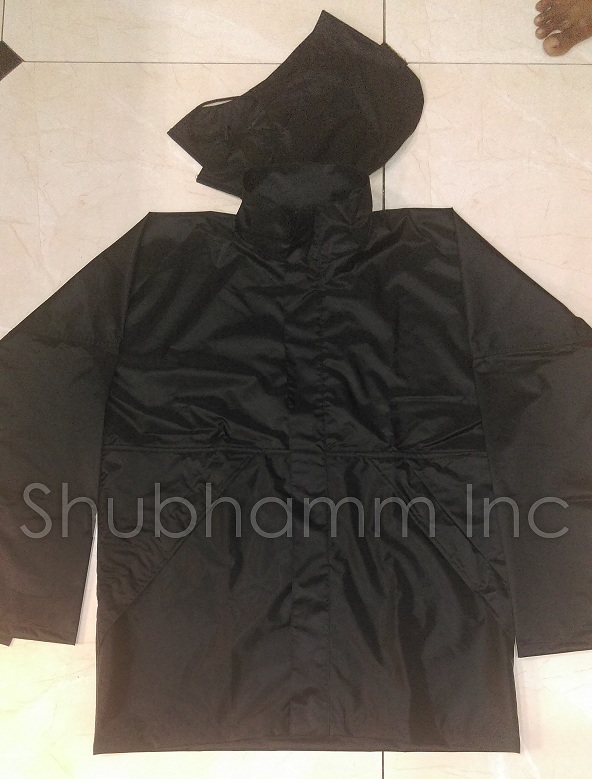 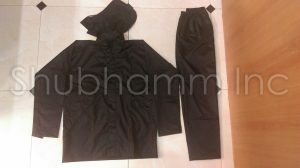 The raw materials used to manufacture Rubberized Raincoat are heavy and durable compared to Reversible raincoats, which make the finished product much heavier at the end. Rubberized raincoats are also termed as Rubberized Jacket, Multi Use Rubberized Jacket, Promotional Rubberized Raincoat, Customised Rubberized Raincoat, Promotional Rubberized Windcheater.